Some of us replace our bikes more often than our shoes. But others are more faithful to their trusty steeds. Platform shoes have come and gone twice since Doug acquired his TX500. 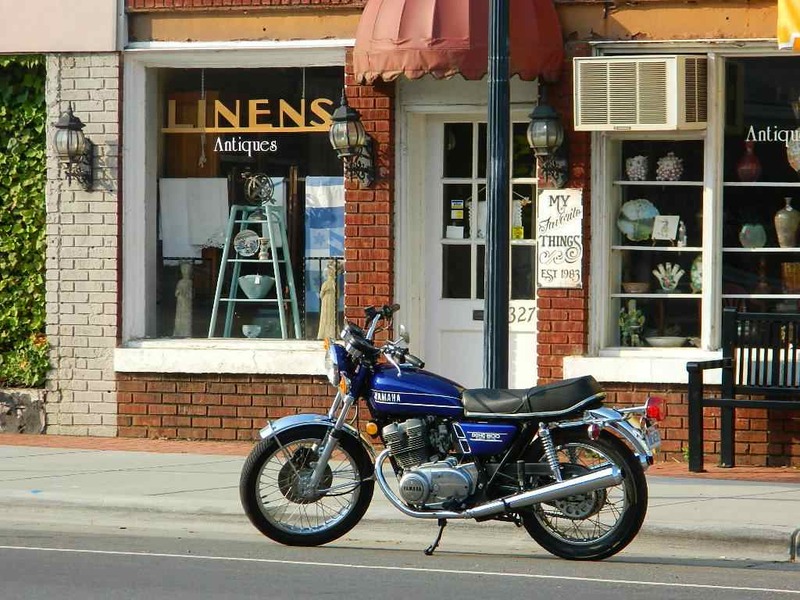 "I bought this bike new on April 23, 1976 at Wheel & Rider Yamaha, in Martinsville, Virginia, after I scraped together enough money by selling my RD350. I haggled with the dealer to get a price of $1295. I was 25 years old. 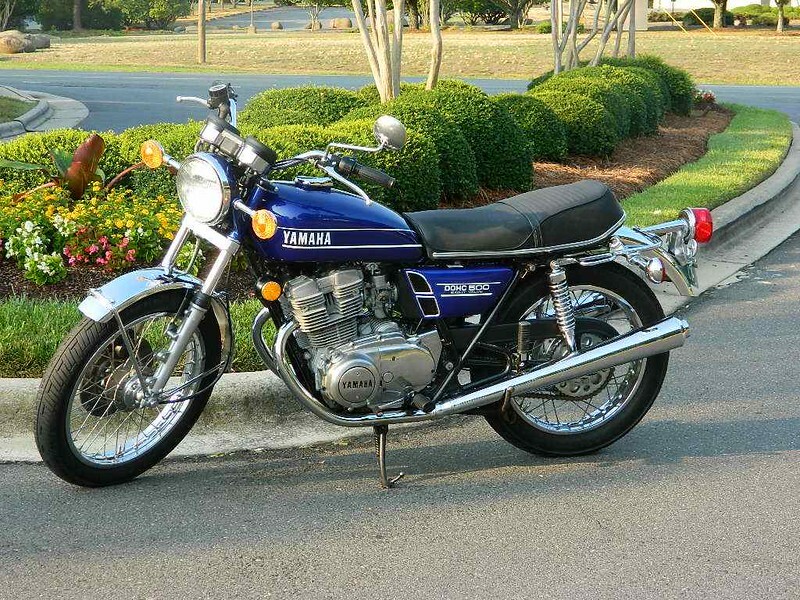 I bought this bike because of its advanced features, especially because it had four valves per cylinder and the counter balancer. 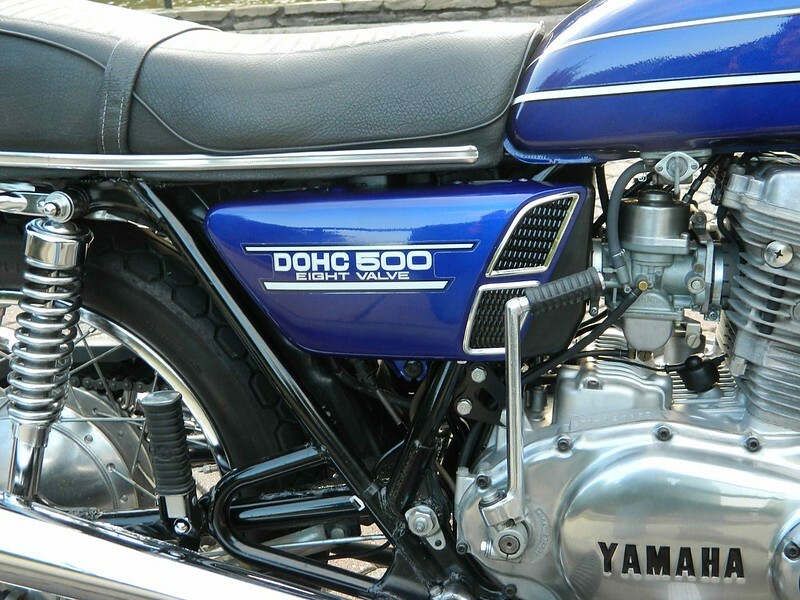 I would have liked to have bought the 650, but I considered it to be beyond my reach. 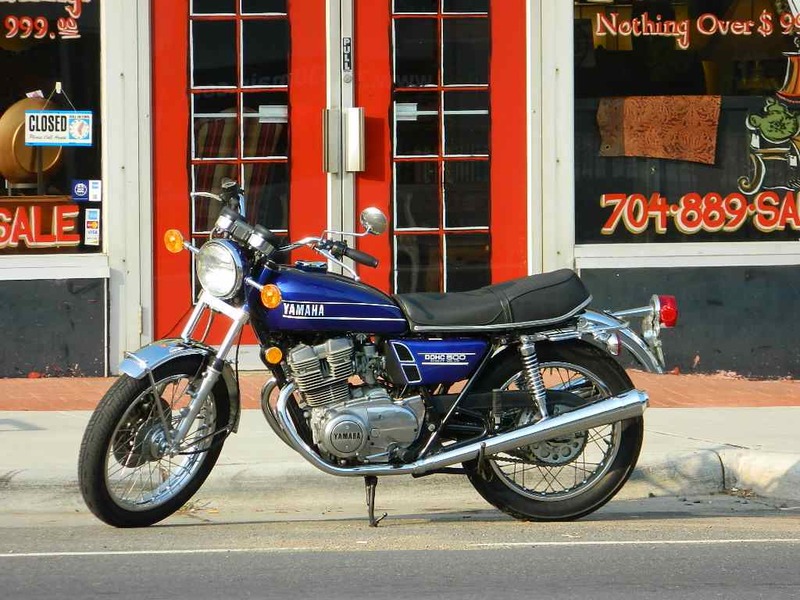 I read lots of articles in the bike magazines, and I looked at a lot of bikes during Bike Week at Daytona. When I wrote the check to pay, my hand was shaking so badly that I wasn't sure that the check would be readable. I was trying not to let the salesman know that I was so excited. 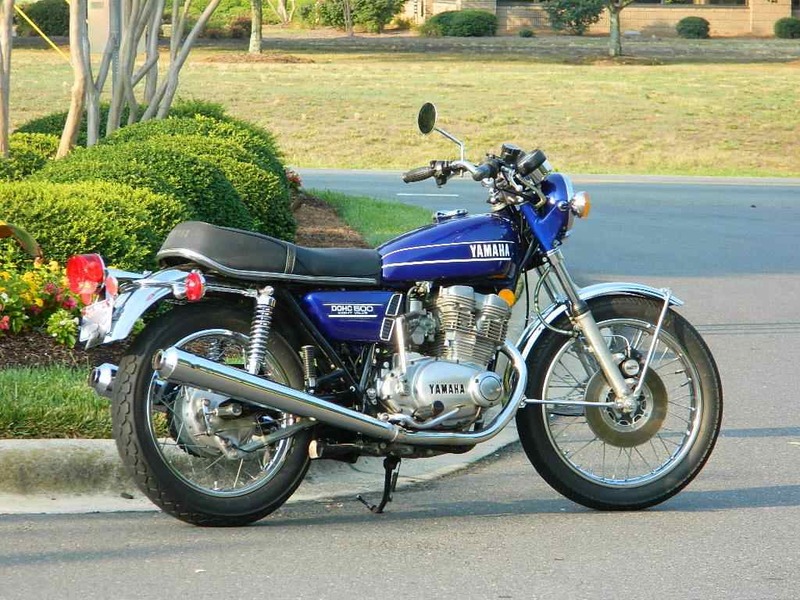 This was my third Yamaha, having owned a CT3 before this bike. 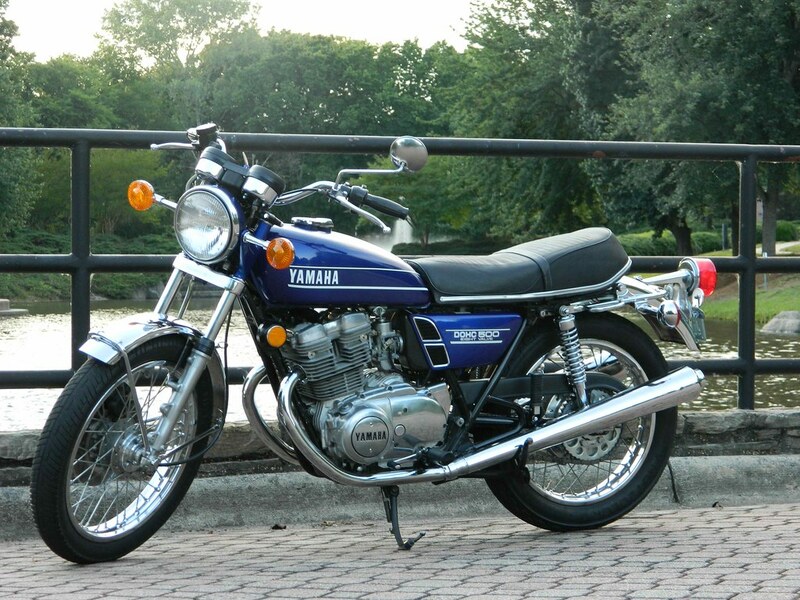 I like Yamahas because they give great value at every price point. Thirty two years later I bought a new Yamaha FZ6 which also is blue and had a birthday in the showroom. I made friends with the mechanics at Wheel and Rider. One of them was a pretty good motocrosser and he had an RD400. We would ride together and I would watch him ride around on one wheel. When the much waited for XS750 arrived at Wheel and Rider, my friend took the XS and we went riding. I was following on my TX500 and he took a right hand turn pretty fast. I knew I didn't have the skill to go that fast so I slowed down. 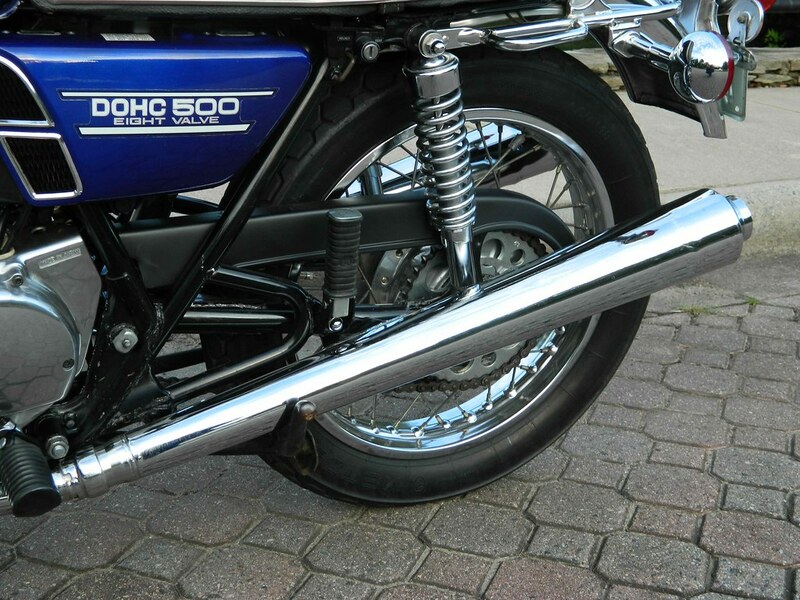 He caught hia exhaust pipe on the pavement and I saw the new, shiny XS750 explode into pieces before my eyes. I saw my friend roll and slide on the pavement. He was ok but with major road rash and he rode the XS back to the dealer with many parts missing. I think it was more painful for him when he had to call his boss and explain that he was the first American to crash an XS750 perhaps first in the world. My TX500 has taken me all over Virginia, both Carolinas, and Florida. It never left me stranded although I had to limp in once or twice. I was on my way to a wedding and I had the front tire wash out in front of the Virginia Tech Student Union. I attended the wedding with a few rips in my shirt sleeve. Only minor damage to the bike, the clutch lever got bent and I fixed it right away. The tires that came on this bike were, I believe, installed in Japan only to protect the rims during shipment. They were very hard. I replaced them with sticky Dunlop K81s and the bike handled much better. I now have Metzler Lasers on it. I have kept it stock, except I just got a set of Ikon shocks for the rear. I haven't tried them out yet. I have always done my own service on this bike. The mechanic at Wheel and Rider spent one evening with me and we went through the fine points of working on this bike. I took notes and have referred to them through the years. I am working with Gymi to share those notes on this website in the near future. 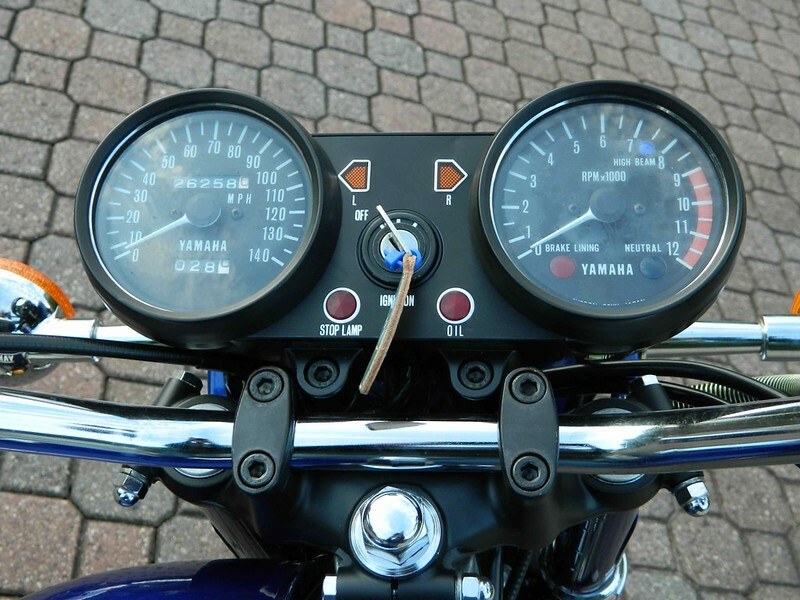 This bike has about 26,000 miles on it. I would drive my choked down, pollution controlled car in the '70s and '80s and then I would hop on the TX and be reminded how great an engine can run. The power always rolls on smoothly with no hesitation or other bad manners. 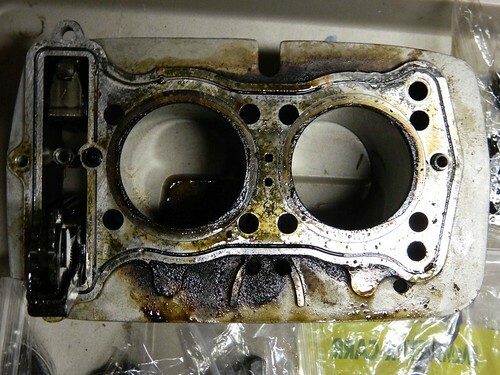 By the '90s it had developed significant oil leaks and was low on compression. It was hard to start when hot. I rebuilt the top end last year and it starts and runs like new again. I rebuilt the front forks so it would ride like new. I am thrilled with how well the bike runs. The styling is timeless and the color is still stylish. When I take it out, it gets a lot of looks. Last week I got the thumbs up from a cager. 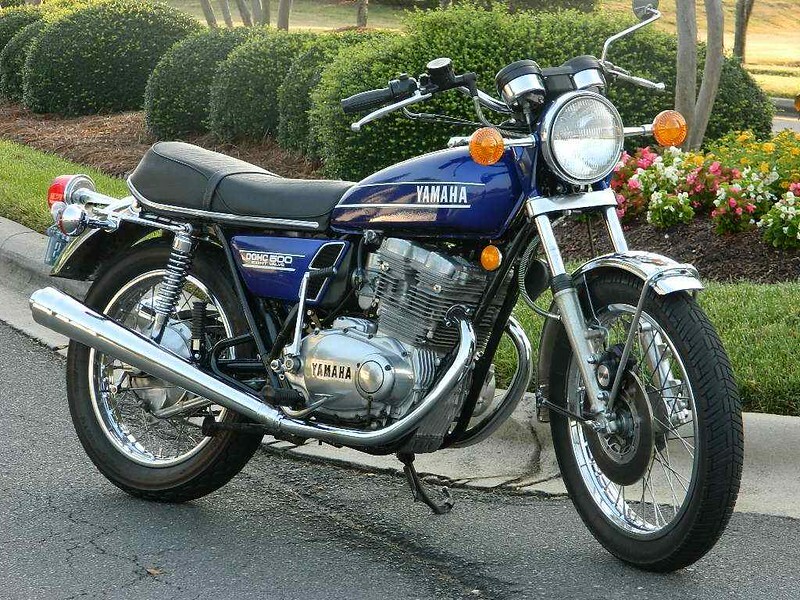 Most people don't know what this bike is, but those that do are knocked out. You don't see one of these bikes very often. This bike was very much ahead of its time and is still up to date today. Man, that bike is beautiful !!!!!!!!!!!!!!! If anybody wanted inspiration then there it is- gorgeous piece of machinery! 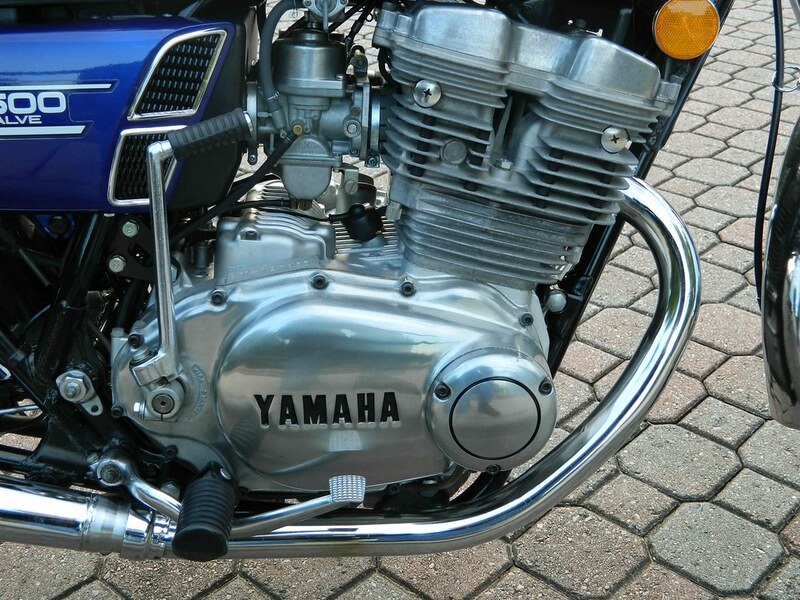 Some more mods and improvements going on there as well- bike has the later LH engine cover with the access plug. What's underneath might have been updated as well?